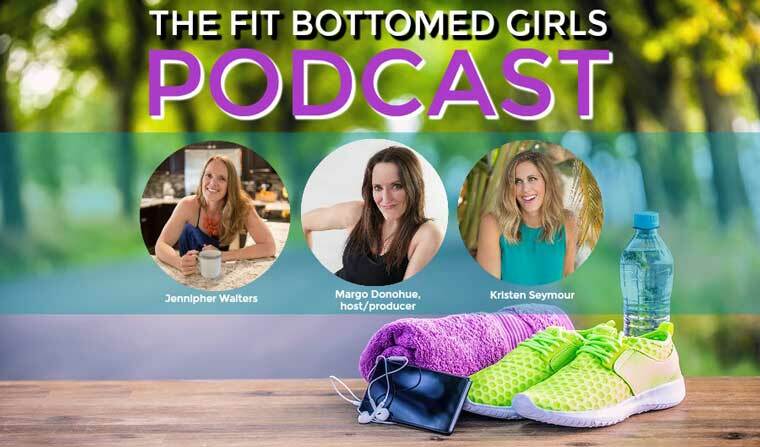 Hosted and produced by Margo Donohue alongside FBGs Jenn and Kristen, the Fit Bottomed Girls Podcast not only helps you keep a lid on the junk in the trunk, but it also helps inspire you to live a happy, healthier life full of confidence. In each episode we FBGs share (sometimes hilarious, sometimes touching) personal experiences and tips, plus we chat with the best experts in food, health, nutrition, meditation, fitness and more. We’re talking people like Bob Harper, Ayesha Curry and Mary Lou Retton! If you have been looking for a podcast that will make you laugh as you learn more about yourself — well then welcome to the Fit Bottomed Girls Podcast! Listen and subscribe wherever you get your fave podcasts from: iTunes, Spotify, Libsyn, Soundcloud, Stitcher, iHeartRadio, TuneIn! Ep 100: The FBGs Celebrate 100 Episodes! Ep 69: Replay of Our Olympic-Sized Interview With Mary Lou Retton! Ep 48: Rebekah “BexLife” Borucki Replay! Now what are you waiting for? Subscribe here or here! And be sure to email us at podcast@fitbottomedgirls.com with what YOU want to hear about on the show, too! We’d love to hear from you.